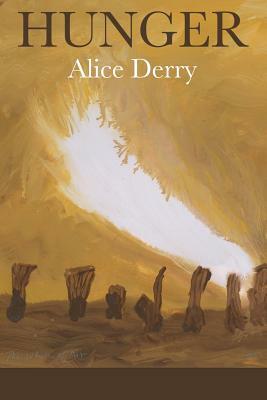 "Alice Derry's Hunger is a beautifully observed, broad-reaching, and ultimately political collection of poems--political in the best and necessary sense: she is a woman, and a citizen of the world, and searches out the complexities and indeterminacies of what that might mean. From a childhood understanding of the genocide of the Nez Perce, to an acute attention to the natural world, to the ways that different cultures maim their women, she is there, asking the hard questions. We don't get any easy answers. I greatly admire both the force of intellect and the aesthetic nuance that Derry brings to bear on her poems." "Alice Derry's Hunger is so beautiful, so dense with layers of meaning and the weight of the unspoken, so rich in its language and rhythm, that the book as a whole just frankly left me breathless. These are poems of enraged tenderness, of estrangement, of questioning and seeking, poems of family and childhood, poems of loss and yearning and sustenance. I could hear in them, see in them, voices and shadows from my own life. I know I will be returning to this book again and again, peeling back the layers." "Alice Derry's poems lead us to 'heart's work' and the 'extravagance of our longing.' By honoring her own feelings, she helps us face them in ourselves. From the crucible of family life to the upheavals of history, we experience the deep bonds and betrayals that shape us. Derry's courage in speaking out, and her belief in the transformative power of art illuminate these pages. Poem after poem 'guards against indifference' to sing 'on the edge of a grieving world.' A book to read and celebrate." complexities of living within these very relationships. to be nourished, sustained by our living itself."